Rogue One is like the bride at a wedding: it’s got something old – an implied storyline from Star Wars Episode IV: A New Hope; something new – characters we haven’t seen before; something borrowed – the plot of Star Wars Episode VI: Return of the Jedi; and something blue – Donnie Yen’s contact lenses. It also has a hard time deciding what kind of Star Wars movie it wants to be, whether it’s closer in spirit to Episode IV, or thanks to the technology employed, nearer to the look and feel of Episode I. With no clear decision made, the movie ends up being neither; instead it equates itself as an awkward mix of the two, where the perceived low tech of Episode IV clashes with the confused storytelling of Episode I. Make no mistake, this is a Star Wars movie, but it’s an amalgam of moods and irregular narrative necessities that stop it from becoming as impressive as it wants to be. We’re in trouble right from the start, with a prologue that introduces us to Death Star designer and loving father Galen Erso (Mikkelsen). Having helped the Empire to begin building their big, bad planet killer, Erso has somehow managed to get away with his wife, Lyra, and young daughter Jyn, and avoid detection on a remote, largely uninhabitable planet. But big, bad Empire honcho Orson Krennic (Mendelsohn) has found him, and plans to take Galen back with him to help finish building the Death Star. Soon, Lyra is dead, Jyn is hiding in a hole in the ground, and Galen is whisked off to continue in his task of facilitating the Empire’s desire to commit repeated intergalactic genocide. Later, Jyn is discovered by half-human, half-tin man Saw Gerrera (Whitaker), and taken under his resistance fighter wing. There are several things wrong with this sequence, and they’re indicative of the problems the rest of the movie has to try and cope with (and largely unsuccessfully). First there’s the matter of the Death Star itself, which is still being built at this point, and which needs Galen’s presence in order to be completed. This begs the question, is the Death Star being built bit by bit as Galen comes up with the design bit by bit, or has he designed it all but there’s no one else who can understand what his design entails? And then Lyra, who has initially fled with Jyn, leaves her daughter, faces down Krennic with a blaster, and is killed for her trouble by his guards, making her death entirely pointless. Jyn sees all this and runs and hides in the aforementioned hole in the ground that is camouflaged by a large, fake rock. And while Krennic’s guards look for her, and are right next to where she’s hiding, we witness Jyn peering out through a gap in the “rock” – a gap that allows us to see her eyes and nose, and which even blind Jedi disciple, Chirrut Îmwe (Yen), could have spotted. But she remains there until Gerrera arrives to save her – even though there’s no reason for him to know she’s there in the first place. 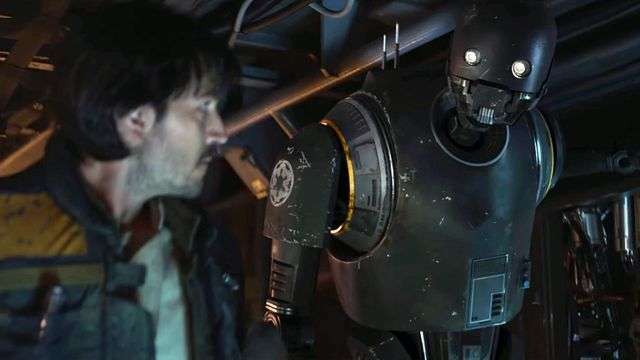 There are more illogical steps throughout, and as it progresses the movie becomes more and more confusing, and narratively complex, as the plans for the Death Star require the Rebel Alliance – in the form of Cassian Andor (Luna), his robot sidekick, K-2SO (Tudyk), Îmwe and his friend, Baze Malbus (Jiang), and later, Empire pilot turned rebel Bodhi Rook (Ahmed), and not to mention a now adult Jyn – to trek here, there and seemingly everywhere in their efforts to track down a copy of its plans, and so enable the rebels to have something to do in Episode IV (when they’re not playing second fiddle to a farm boy, a scoundrel, an old man and a Wookiee, not to mention the wheezy guy in the black helmet who pops up here a couple of times). In the process of this search, mistrust between characters is overcome, an old villain (not Vader) makes a semi-welcome return (you might be excited until you get a closer look at him), battles are fought, lives are lost and/or sacrificed, stormtroopers are dispatched by the bucket load, good triumphs over evil, and the whole unconvincing mishmash of ideas dovetails nicely into the beginning of Episode IV. There are a couple of standout moments: Vader taking his red lightsabre to a corridor full of unlucky rebels, Îmwe’s martial arts takedown of a dozen or so stormtroopers (it’s always good to see Yen in action), and though they’re sometimes blatant (though also necessary) in their placement, there are plenty of riffs and pre-echoes of events in Episode IV to keep the fans happy. Ultimately it’ll be the fans who will take this installment of the re-ongoing Star Wars franchise to their hearts, but for newcomers to the saga, or even those who are keen to see what all the more recent fuss is about, this will be a bit of a struggle. Part of the problem is that no matter what obstacles are put in the way of Jyn and the rebels, we all know the outcome. With a pre-ordained conclusion ahead of us, it’s also difficult to care about any of the characters, despite the best efforts of a cast who aren’t exactly lightweights. But Luna is too earnest; Jones runs him a close second; Tudyk contributes yet another robot-with-attitude performance (why do robots have to have an attitude? ); Yen and Jiang make for a great, if underused, team; Mendelsohn vacillates between scowling menace and angry outbursts in a fruitless search for something to make Krennic more interesting as a villain; Whitaker and Mikkelsen both lack for screen time and never overcome their minor character status; Ahmed does wide-eyed and shell-shocked for too long; and the great James Earl Jones is brought in for a scene where, unfortunately, Vader’s dialogue only serves to muddy the waters of what’s happening even more than they’re muddied already. 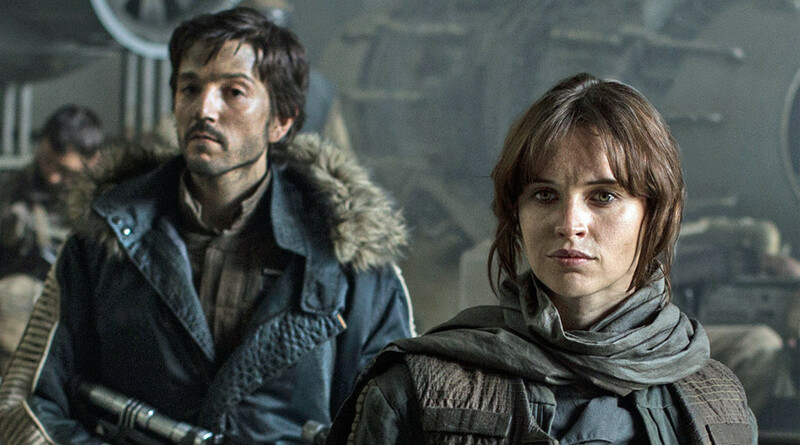 With the script – by Chris Weitz and Tony Gilroy – moving safely from one join-the-dots scene to the next, and providing little in the way of depth, Rogue One has to fall back on its visuals, and in that respect, the movie holds a little potency. There’s still no one shot that will invoke awe or a sense of wonder (like the Star Destroyer taking up more and more room at the top of the screen at the beginning of Episode IV), and while there’s plenty of beautiful moments to take in, even the Death Star at one point emerging from hyperspace, there aren’t quite enough to make this installment stand out from the rest. 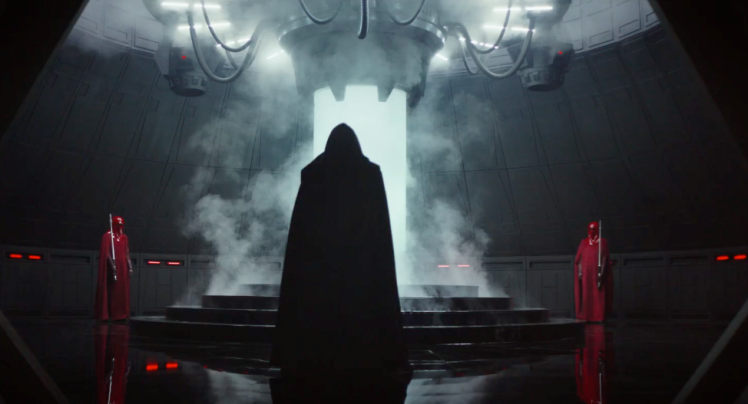 As a so-called stand alone movie, Rogue One doesn’t fit the bill, as it’s too busy reminding everyone of its connection to the series’ opener, and as an additional entry to the franchise timeline, it’s further entrenched in the overall story arc. In charge of it all, Gareth Edwards does a great job of arranging all the elements (even if he can’t overcome the clumsiness that comes with them), and he ensures that the movie hits the required number of beats on time and to its best advantage, but this is still Star Wars-by-numbers, a functional if unnecessary addition to the series, and if it doesn’t tarnish the legacy of the overall franchise, it still doesn’t quite add anything to it either. 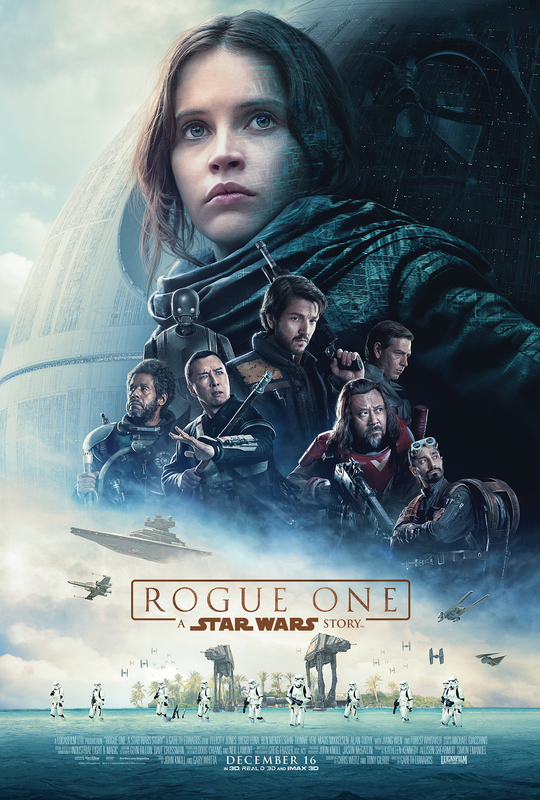 Rating: 7/10 – superficially entertaining with its blockbuster mentality and slick, professional appearance, Rogue One lacks the heart and charm of the original trilogy, and plays out its tale efficiently and with any emotion firmly kept in check; a movie then that mimics the series’ best values without appreciating or embracing them fully, and which should leave the impartial viewer feeling more than a little let down by it all.